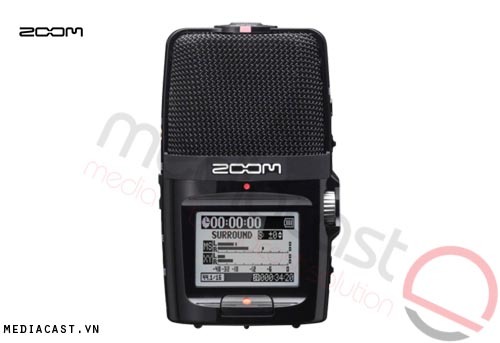 Zoom H1 là máy ghi âm chuyên dụng thế hệ đầu tiên của hãng Zoom - Japan. 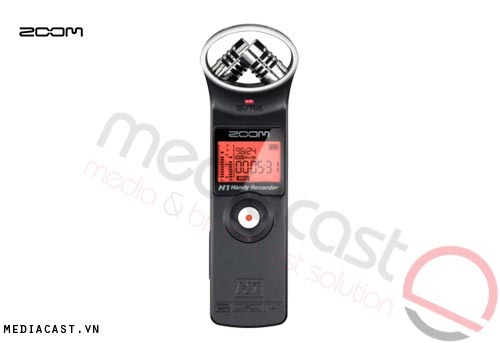 Bao gồm 2 Micro được thiết kế theo hướng X/Y. 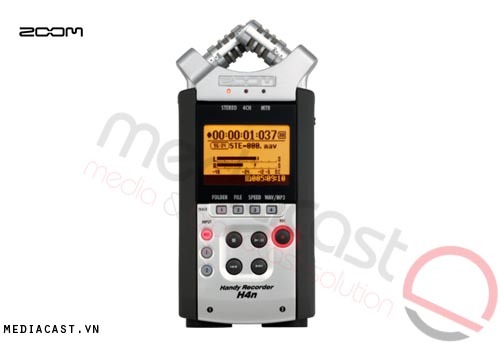 Ghi âm định dạng WAV và MP3 tới 24-bit/96kHz vào thẻ microSD/SDHC. Giao diện I/ O 3.5mm thông dụng. Bao gồm Màn hình hiển thị Backlit LCD, loa gắn trong, dùng 1 pin AA. 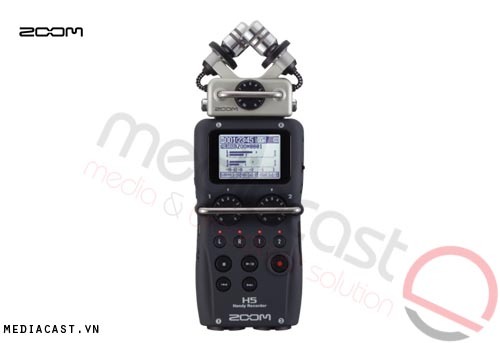 The black H1 Handy Recorder from Zoom is an easy-to-use, versatile stereo digital audio recorder that fits into the palm of your hand. 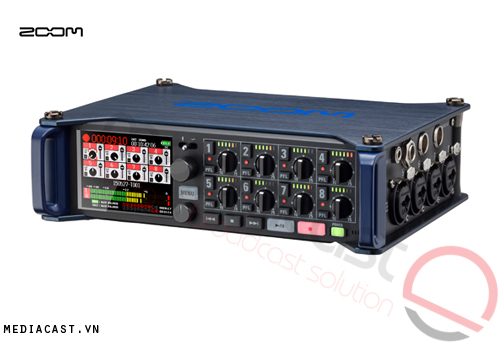 Following in the footsteps of the popular H2 and H4n, the H1 brings pro-level recording to a more compact and affordable design. Perfect for musicians, journalists, podcasters, and more, the H1 records high-quality WAV and MP3 files to meet any professional need. 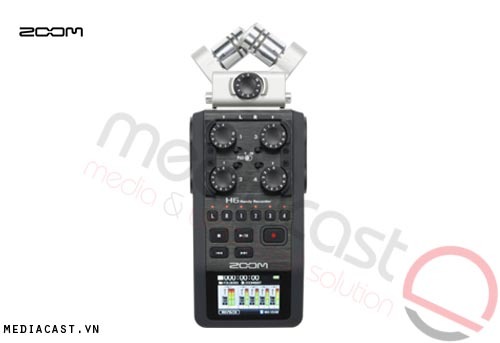 The H1 has a stereo X/Y microphone configuration that captures perfect stereo images. A built-in speaker lets you listen to your recordings right away. The H1 records your audio onto easily-found microSD or microSDHC flash memory cards, supporting capacities up to 32GB. A 2GB card is included so you can begin recording right away. The H1 records WAV audio at rates up to 24-bit/96 kHz, and MP3 audio at rates up to 320 kbps and VBR. The pocket-sized device runs on a single AA battery to provide up to 10 hours of continuous operation. The simple, intuitive interface provides you with 1-button recording, while a backlit LCD display shows vital information. The rear of the recorder features controls for the low cut filter, automatic level control, and format selection. Physical controls are provided for input level and record/playback functions, so you don't have to navigate through complicated menus in order to find the features you want. A 3.5mm mic/line input lets you connect an external microphone or music player, while a 3.5mm headphone/line output lets you connect your favorite headphones or small external speakers. A high-speed USB 2.0 port allows you to easily transfer data to your Mac or PC. A threaded tripod mount socket makes it easy to mount the H1 on a tripod or stand. Box Dimensions (LxWxH) 6.7 x 3.9 x 1.8"